PT Pertamina Retail - Pertamina Retail is an established retail company in Indonesia with core business in fuel and non fuel retail business. Its business include managing retail public fuel filling station (SPBU), fuel trade and fuel transportation services. Based in Jakarta, Pertamina Retail runs its business through 103 SPBU COCO, 26 SPBU T-COCO, 15 SPBG COCO, 213 Bright Stores, 9 Bright Cafes, 19 Bright Olimart, and 16 Bright Carwash Units spread across Indonesia. Pertamina Retail is a downstream subsidiary company of state-owned oil giant, PT Pertamina (Persero). At present, PT Pertamina (Persero) is the majority shareholder at Pertamina Retail, with 99.97% of ownership. Other 0.03% was owned by PT Pertamina Trans Kontinental. 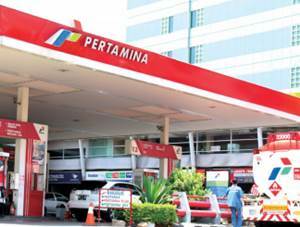 In term of financial performance, Pertamina Retail closed the business year of 2014 with a positive result. According to PT Pertamina Retail Annual Report 2014 as quoted by JobsCDC.com, Pertamina Retail records strong revenue growth in 2014, total revenue grew 29.2% year on year from Rp 7,113.46 billion in 2013 to Rp 9,188.70 billion in 2014. Total comprehensive income grew considerably to Rp 60.07 billion, from Rp 55.85 billion in 2013. Minimum S1, preferably majoring in Management, Economics Business, Communication and Advertising. Experienced in retail company is beneficially. Have a GPA score min 3.00 (scale 4.00) from a reputable university with an A accreditation. Strong leadership and negotiation skill. Communicative and have strong sense of analytical thinking. JobsCDC.com now available on android device. Download now on Google Play here. Please be aware of recruitment fraud. The entire stage of this selection process is free of charge. PT Pertamina Retail - Advertising Assistant Manager Pertamina Group March 2016 will never ask for fees or upfront payments for any purposes during the recruitment process such as transportation and accommodation.